Cashiers and general help varied hours part-time. Must have some weekend availability. Watering, tending plants, customer service. Should have experience in this area. Fulltime or part-time. Requires hard work, outside, farm field work, planting, picking. Experience a plus as well as being “handy” with tools, power and otherwise. Lots of flexibility with hours. The duties of retailing require a candidate with good customer service skills, an interest in sales, a fun and outgoing personality, and the ability to manage a cash register and money handling. Jobs in retailing include our Farm Market, TIcketbooth, Country Kitchen, and Gem Mining Trader's Post. Our custodian jobs include responsibilities such as wiping down tables, checking trash cans, watering flowers, picking up litter and cleaning restrooms. Custodians need to be familiar with the farm land, its buildings and its attractions and able to work outside. Custodians also need to be friendly towards customers. They also need to be detailed oriented, organized and punctual. Attendants work in areas such as Pedal Karts, Mini Wagon Rides, and Pony Rides. Our attendants need to be good at working with small groups of people, providing them with instructions, and ensuring a safe and friendly environment. People skills are very necessary. Our food service areas require a range of abilities. Duties include serving ice cream and frozen treats to grilling burgers and cooking fries. The Country Kitchen requires the ability to make wraps, burgers and fries and other concession foods. 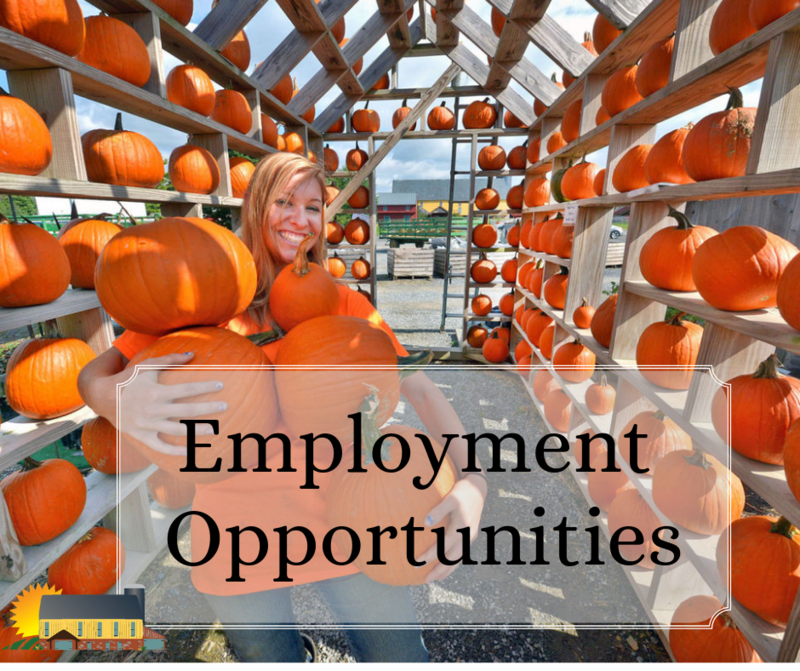 At Country Barn we look for food service employees who are outgoing, detail oriented and can work efficiently while adhering to health standards. They may be required to count money and run a register. Country Barn Farm is seeking an experienced person to assist with general duties on the farm. Mechanical ability, solid work ethic, tractor/skid loader experience is necessary. Valid driver’s license and drug free also required. Duties will include farming in general, mulch deliveries, animal care, basic carpentry, chainsaw use, general labor and more. Full time year round work for the right person. Most positions require varying degrees of weekend work.